Grande Provence Estate wears its 300 year history with dignity. Sitting in the magnificent Franschhoek Valley in South Africa’s Western Cape, its lush vines spread across 47 acres with gentle vistas over the valley floor and the rugged mountains beyond. This is heartland South African wine country at its very finest. The story of Grande Provence is steeped in folklore. The estate range, called Angels Tears, had been around for more than 10 years when the legend began that angels had descending onto the estate during harvest and while sipping the wine they cried tears of joy. Our original wine in the range is the semi-sweet, to which we have added three more wines to complete the series. It is fruity, light and pleasant – wines that taste best when shared with friends. Our newly rebranded label incorporates elements of the estate; butterflies, cherry blossoms and one of our local squirrels from the big oak tree. 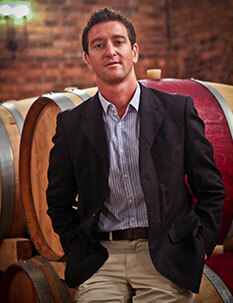 We have the first 100% Chenin Blanc/Muscat amphora wine which was nominated wine of the year by Tim James. is well known in winemaking and viticulture circles. He was Young Winemaker of the year 2011 and he produced one of the world’s best Chardonnays, as voted by International Wine and Spirit Competition.